Superdry women’s Vintage logo emboss college crop hoodie. 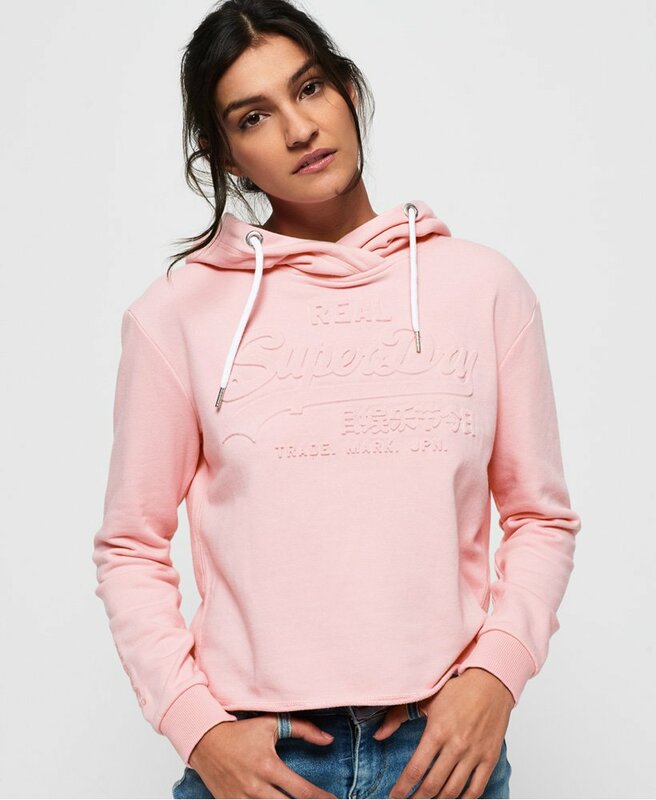 A twist on the classic, this hoodie features an embossed Superdry logo across the chest making this a stand out piece in your wardrobe this season. In addition, this hoodie also has a cross over draw cord hood, a Japanese embroidered logo on the arm, ribbed cuffs and a Superdry tab in the side seam. This hoodie has been cut to a cropped fit making it bang on trend this season. Team this hoodie with joggers to channel athleisure vibes or jeans and trainers for an everyday look.